We wish to take this opportunity to extend to families and clergy an invitation to attend a time for remembering to be held in the White Family Funeral Chapel at 2:00 p.m. in the afternoon of Sunday, November 25, 2018. St. Joseph’s Roman Catholic Church, Kentville, Nova Scotia. The service will be a celebration of remembrance for those families who have lost a loved one during the past year. Following the service, there will be a time of fellowship and refreshments to be held in the reception room. 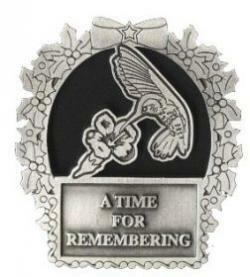 We realize the holiday season can be difficult for those who have experienced the loss of a loved one. We sincerely hope this service will provide you with comfort and inspiration. We look forward to having you in attendance. For those unable to attend in person, the time for remembering will be live streamed and may be accessed by visiting www.whitefamilyfuneralhome.com.